Audioboom / Two thousand year-old Greek astronomy Mac. 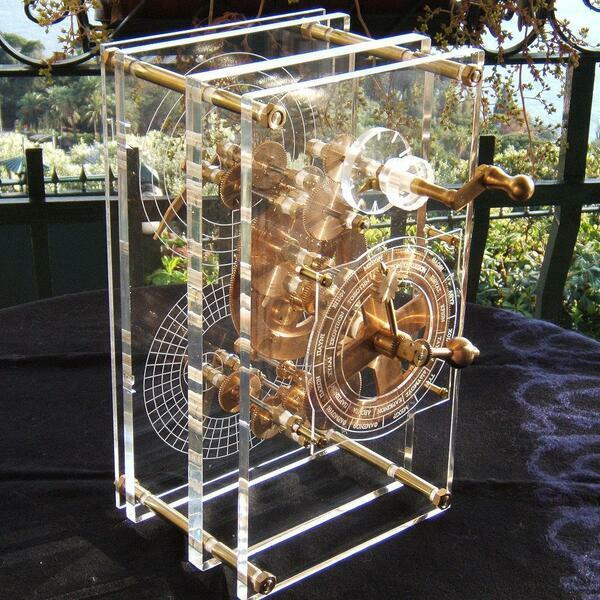 Solving Two Thousand Year-Old Time & Space Machine: Antikythera Mechanism. Alexander Jones, NYU. “…After more than a decade's efforts using cutting-edge scanning equipment, an international team of scientists has now read about 3,500 characters of explanatory text — a quarter of the original — in the innards of the 2,100-year-old remains. They say it was a kind of philosopher's guide to the galaxy, and perhaps the world's oldest mechanical computer. "Now we have texts that you can actually read as ancient Greek, what we had before was like something on the radio with a lot of static," said team member Alexander Jones, a professor of the history of ancient science at New York University. "It's a lot of detail for us because it comes from a period from which we know very little about Greek astronomy and essentially nothing about the technology, except what we gather from here," he said. "So these very small texts are a very big thing for us." Under Fire: The Untold Story of the Attack in Benghazi. PART ! of 2. by Fred Burton and Samuel M. Katz.